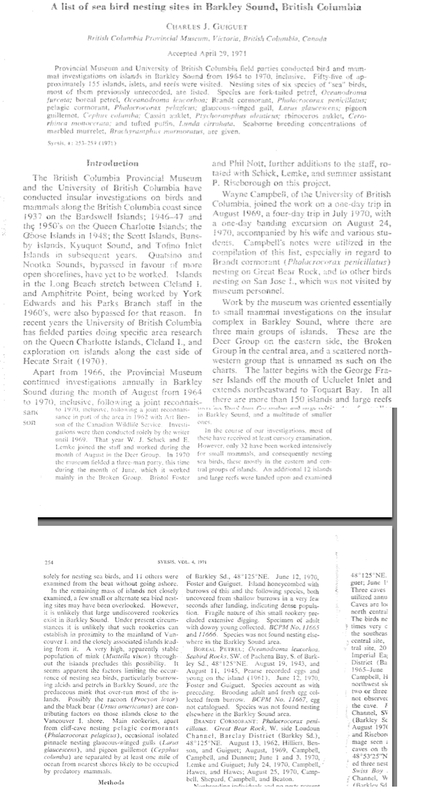 Provincial Museum and UBC field parties conducted bird and mammal investigations in Barkley Sound from 1954 to 1970 inclusive. 55 of approx. 55 islands,islets and reefs were visited. Nesting sites of 6 species of sea birds previously unrecorded are lsited.